London Commune forum, 7pm on Monday 18th at the Lucas Arms, near King’s Cross. The next of our public meetings in London will see at talk by Jeffery Webber, author of ‘Rebellion to Reform in Bolivia’. He will be speaking on social movements in Bolivia and how these interact with the ‘reconstituted neoliberalism’ of the Evo Morales government. The Commune spoke to Jeffery Webber, author of a new book From Rebellion to Reform in Bolivia, about the country’s social movements and the course of Evo Morales’ MAS government. 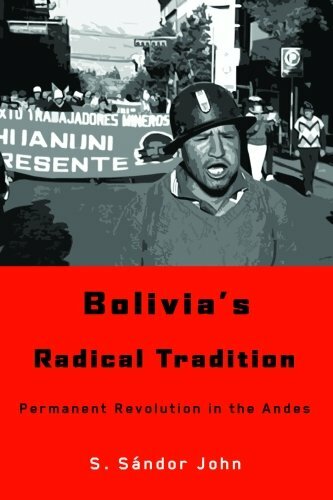 What kind of politics did the 2000-2005 movements in Bolivia express? 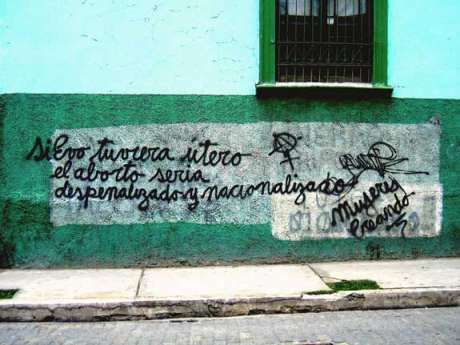 To walk the streets of La Paz is also to walk through the story of Mujeres Creando (Women Creating) an anarchist and feminist movement which has used graffiti and creativity as its forms of struggle and has made the streets its canvas. “Women who get organised don’t have to iron shirts any more”, “I don’t want to be the woman of your dreams, I want to be the woman of my dreams” and “Because Evo Morales doesn’t know how to be a father (he tried to disown his daughter), he doesn’t know what it means to be a mother” are among its graffiti. 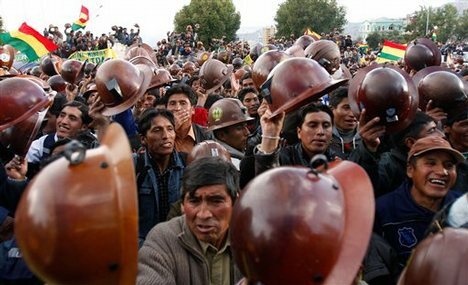 The last two weeks have seen a series of general strikes in Bolivia, both called by the ‘official’ union federation COB and organised on the impulse of manufacturing workers and teachers. 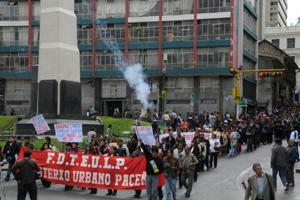 The workers are demanding a pay increase above the 5% figure advanced by Evo Morales’ left-populist government. Even if in the context of the 1952 revolution the centrality of mining workers was indisputable, today the shape of the working class has changed. 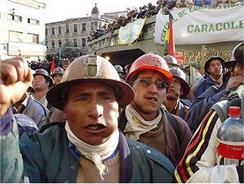 It is true that manufacturing workers remain an important part of the Bolivian working class, but the casualisation of labour relations and informal economy have created a large majority of the working class facing unfavourable conditions for organising. The class struggle in Latin America is one that has always roused great interest and a certain romanticism among the western left. The continent has seen a number of heroic struggles against often savage exploitation and state repression, whether by the industrial working class, landless peasants or indigenous peoples. 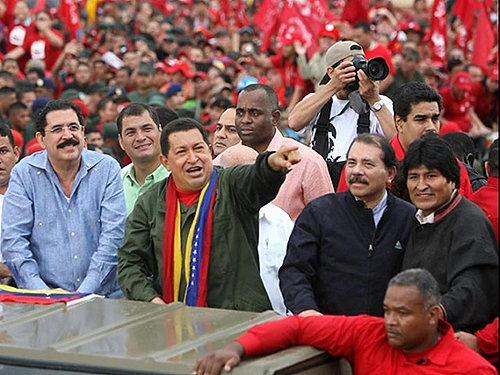 But the politics of the Latin American left are complex and often mischaracterised.